This badge holder can identify the major IBM i software and hardware components and can access and communicate with this system. This person is highly-experienced with the RPG/400 code structure and syntax, and can efficiently create code associated with file processing, computations, and data manipulation. 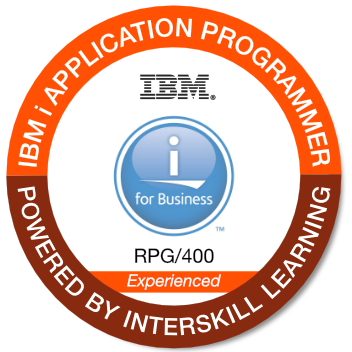 They can confidently code RPG/400 programs that perform execution branching, conditional processing, and looping, and create screens for user input.